The ATLANTA NEW HORIZONS BAND is a concert band for wind instruments and percussion. The mission of the band is to provide opportunities for adults to play music with other musicians in a setting of fun and fellowship. We strive to maintain standards of musical performance appropriate to the ability of its members. We play a wide variety of music such as marches, medleys from films, musicals and classics, symphonic tunes, folk tunes, swing, polka, foxtrot and whatever the occasion asks for. We schedule 6 – 8 concerts a year for which we charge a reasonable fee to support the band. You are welcome to visit a rehearsal at any time with or without instrument. You can also come to listen to one of the concerts as listed in the web site. To join there are no auditions required but we have monthly dues of $15.00 payable in advance quarterly, semi-annually or annually. This is to pay for the music director and new music for the repertoire. The BAND DIRECTOR FRITZ SILER, an accomplished Trombone player, has an outgoing personality and great musical knowledge. He has the rare talent to motivate the band to ever better performances. We are lucky to have him. 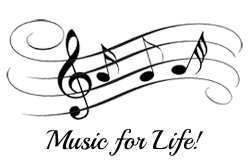 ANHB is an affiliate of the New Horizons International Music Association. Our sponsor is Carere Music, Inc., 4947 Winters Chapel Road, Atlanta, GA. Uniform consists of WHITE BAND SHIRT, black pants/skirts, black socks and shoes.